Have you heard of essential fatty acids – “The Good fats”? But most importantly how great they are for you? I recently discovered just how fantastic these guys are while studying nutritional coaching with the Irish Institute of Nutrition and Health. People are always afraid of the word fat but fats in the form of essential fatty acids (EFA’s) (polyunsaturated fats) are essential for our health and wellbeing and most people are simply just not getting enough of them because of over processed diets and one indicator that people are not getting enough of EFA’s in their diet is the rise in depression and cardiovascular disease. So without getting to tech savvy let’s break down the how and the why of these fats; “Essential fatty acids, or EFAs, are fatty acids that humans and other animals must ingest because the body requires them for good health but cannot synthesize them. The term “essential fatty acid” refers to fatty acids required for biological processes but does not include the fats that only act as fuel”. Only two fatty acids are known to be essential for humans: alpha-linolenic acid (an omega-3 fatty acid) and linoleic acid (an omega-6 fatty acid). EFA deficiency and Omega 6/3 imbalance is linked with serious health conditions, such as heart attacks, cancer, insulin resistance, asthma, lupus, schizophrenia, depression, stroke, obesity, diabetes, arthritis, ADHD, and Alzheimer’s Disease, among others. So how do we get these good guys into our diet? Omega 3 – Flax seed oil hempseed oil, hempseeds, walnuts, pumpkin seeds, Brazil nuts, sesame seeds, avocados, some dark leafy green vegetables (kale, spinach, purslane, mustard greens, collards, etc.) salmon, mackerel, sardines, anchovies, albacore tuna, and others. Omega 6 – Flaxseed oil, hempseed oil, hempseeds, grapeseed oil, pumpkin seeds, pine nuts, pistachio nuts, sunflower seeds (raw), olive oil, olives, borage oil, evening primrose oil, black currant seed oil, chestnut oil, chicken, among many others. 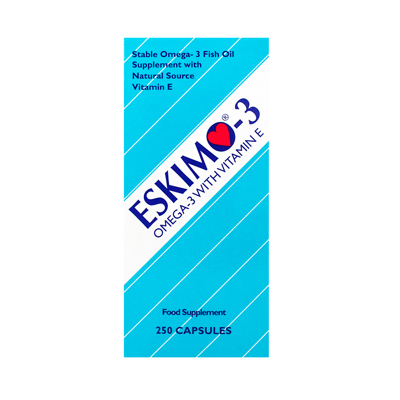 As most of us are not getting enough essential fatty acids in our daily diets there is an excellent supplement called Eskimo – 3, it is 100% natural omega 3 and to get fish as fresh as those used in these capsules you would have to go down to your local harbour and meet your local fisherman every day!!!. They are ISO certified and it is the only naturel fish oil that has been authorised as a natural remedy in Sweden. This means that it meets the same high standards for production and quality that are set for conventional medicines. 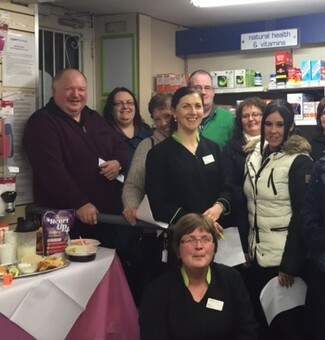 Studies related to Omega 3 – Dyslexia affects more than 2500 families in Ireland and just like ADD, people with dyslexia have a deficiency of omega 3 fatty acids in their blood lipids. Supplementation with Omega 3 should reduce this problem. Joint Health and inflammation – Natural anti-inflammatory and increases synovial fluid around the joints – increase flexibility.